Not long ago, Boone County, West Virginia was one of the Mountain State’s top coal-producing areas. But with the steady decline of the coal industry, these once common, high-paying jobs slowly gave way to unemployment, poverty, and addiction. As Boone County’s finances struggled, so did its school system. Two years ago, the county struggled to pay its teachers. Its school system was nearly $5 million in the hole. Things looked bleak. 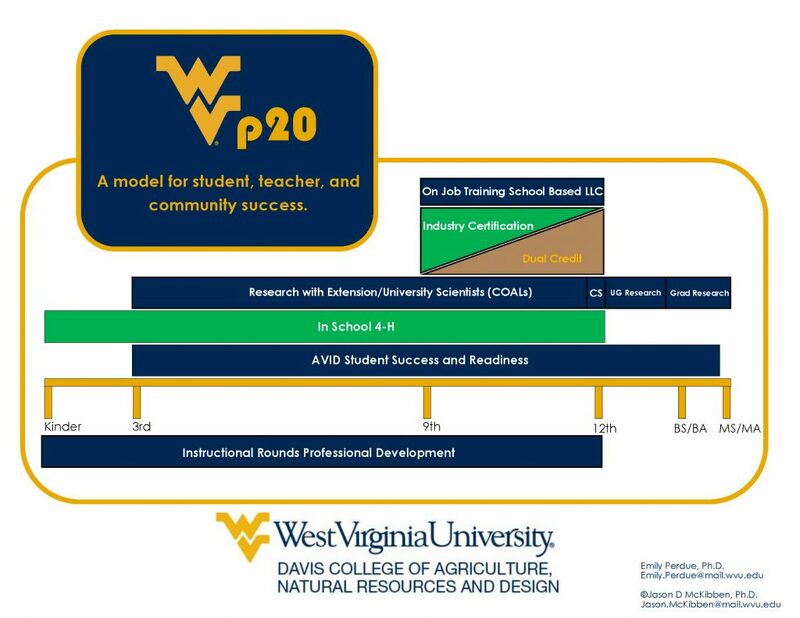 But now, as part of a large educational reform effort being spearheaded by West Virginia University’s Davis College of Agriculture and aided by a large USDA-NIFA grant, faculty from West Virginia University and Auburn University are executing a dramatic turnaround in the Van, WV school district in Boone County through a pilot program called WV p20 (see model). Through dual enrollment classes, every high school student will take courses that translate into college credit. Along with McKibben and Extension specialist Emily Perdue, Auburn Agriscience Education professor James Lindner will work on the project as the co-PI focusing on evaluation and dissemination. The USDA-NIFA grant allows students to engage in the yearly research by providing funding for travel for the extension research faculty to the school district, supplies and technical equipment to help with the projects, and an annual symposium to be held at either the campus of WVU or the state capitol building in Charleston. The grant has also allowed the team to hire one of Auburn’s recent Agriscience Education doctoral graduates, Marco Giliberti, to be a lead fulltime researcher collecting data on the project so it can be more effectively replicated and possibly brought home to Alabama. The larger WV p20 project has very specific objectives. These include increasing the number of college-ready high-school graduates from economically disadvantaged rural areas, preparing high-school graduates to attend and ultimately graduate from four-year food, agriculture, natural resources and human sciences programs (FANH), and build a ready and dynamic workforce in the coal country. Lindner elaborated on other benefits the program seeks to bring to the economically-recovering rural area. Every student in the Van School district will be enrolled in a full 4-H program. Beginning in third grade students will conduct 4-H based research projects each year, culminating in a large capstone project during the student’s junior and senior year of high school. The theory is that students who have conducted active university-based research will be better able to think systematically about real-world situations and be dynamic problem solvers. The exposure to university expectations and faculty will demystify the system of higher education and build a bridge into the university system for first generation rural students who often live in isolation from the university system. McKibben said that the real cost of education isn’t tuition, but living expenses, and that the WV p20 program can address the issue that prevents many rural students from attending college. The program has gained the attention of WVU president Dr. E. Gordon Gee, and the state treasurer’s office, as a way to revolutionize education. 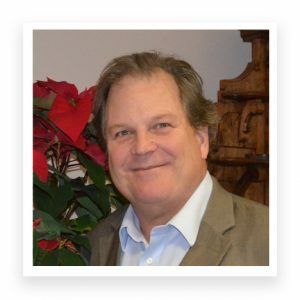 The WV p20 team, under the leadership of Dr. Perdue, is pushing for a soft launch of the full pilot model in the Van school district in Fall, 2019. To learn more about the program, enjoy this video.